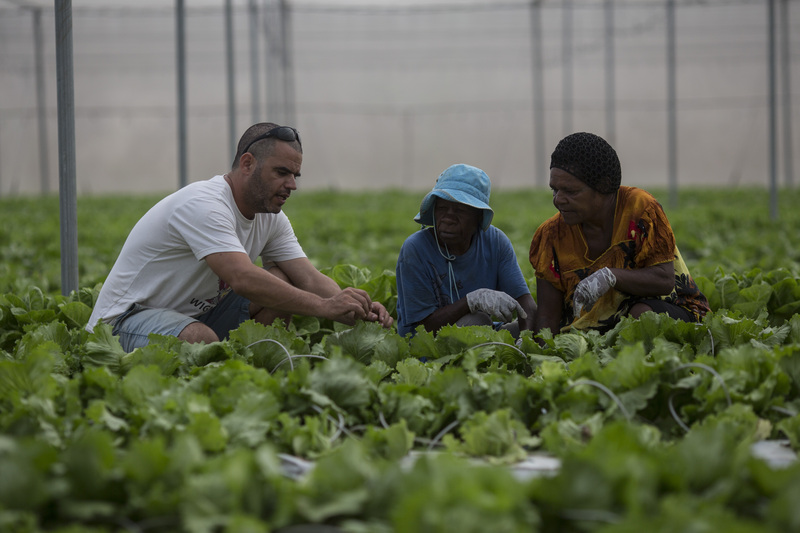 LR’s 9 Mile Farm is a commercial vegetable farm tailored to meet the needs and objectives of the local market and to help bring Papua New Guinea’s agricultural sector into the 21st century. By introducing modern farming to the region, 9 Mile Farm is promoting food security, offering long term employment prospects and replacing expensive food imports. Increase food security and replace the import of expensive fresh food, while contributing to the development of the local economy and community. 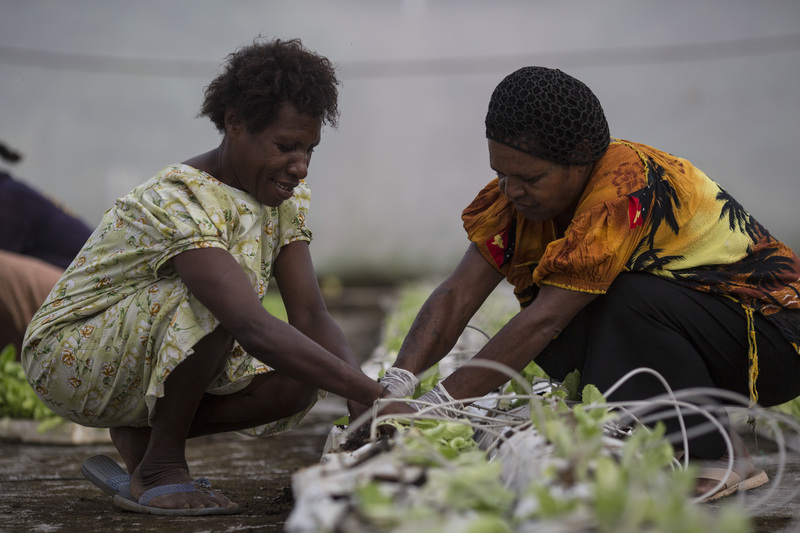 Papua New Guinea is rich in natural resources, however logistical, climatic and geographic challenges continue to reduce the availability of fresh, local food around the capital, Port Moresby. Farming is based on subsistence agriculture and lack of local production causes residents to rely on expensive imports for basic food items. The development of modern agriculture offers urban residents access to healthier, cheaper food, while diversifying the local economy and providing much needed employment. Build a profitable farm that supports and employs the local community, improves food security and replaces food imports. By implementing vertical integration of the production and supply chain, LR has created an agriculture venture that brings the most advanced modern technologies and best practices to the entire production chain. High-level training, advanced greenhouse technology, and modern packaging, distribution, and marketing methods all ensure that 9 Mile Farm is a financial success. Such a modern farming operation significantly increases the supply of fresh fruit and vegetables, reducing food insecurity, increasing employment, and promoting a future generation of entrepreneurial farmers. Create all the infrastructure needed to support a large-scale project, from the ground up. 9 Mile Farm represents the first modern agricultural enterprise in the area, and therefore does not rely on any existing support system. Everything from personnel training and infrastructure through branding, marketing, and distribution, is handled directly by the farm itself. Comprehensive and careful management ensure that the farm produces successfully and that the vegetables reach the people who need them. A modern, successful agricultural enterprise growing 600 tons of produce per year, 9 Mile Farm was built and operates in accordance with all social and environmental regulations. 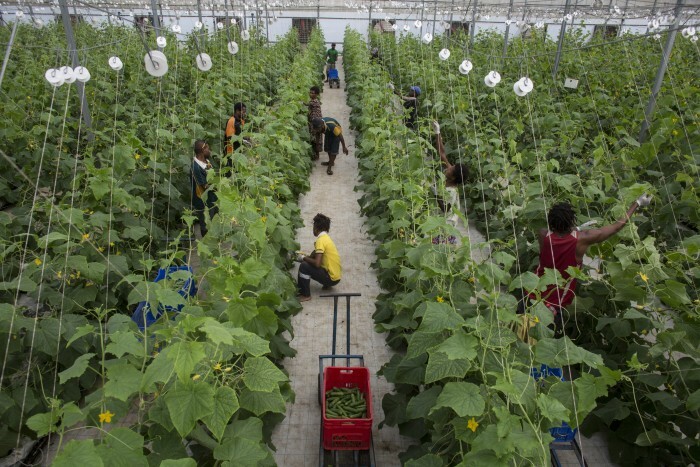 The farm includes 6 hectares of modern greenhouses, as well as a central packaging and logistics center. These advanced greenhouses use cutting-edge drip irrigation systems, high-quality fertilizers, and seeds that are specially selected for their genetic advantages. 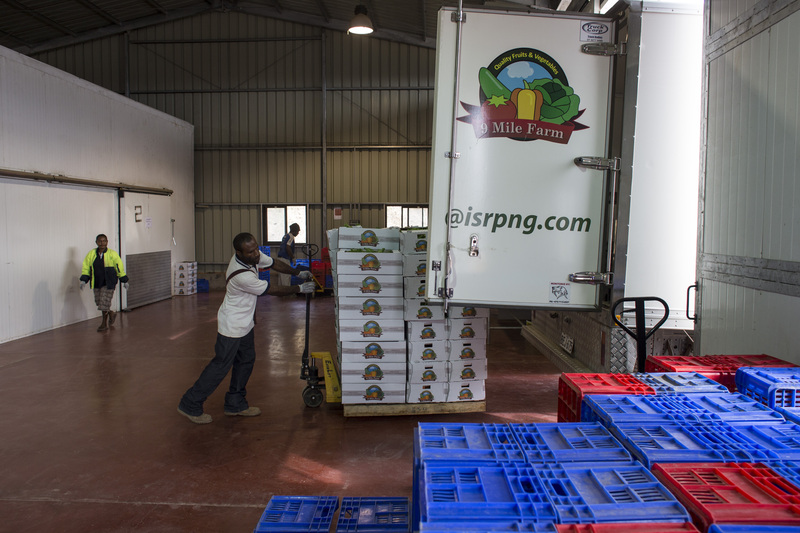 The packaging and logistics centers prepare the vegetables for the local markets and oversee all other parts of the project, including marketing and distribution under the ISR-PNG brand name. 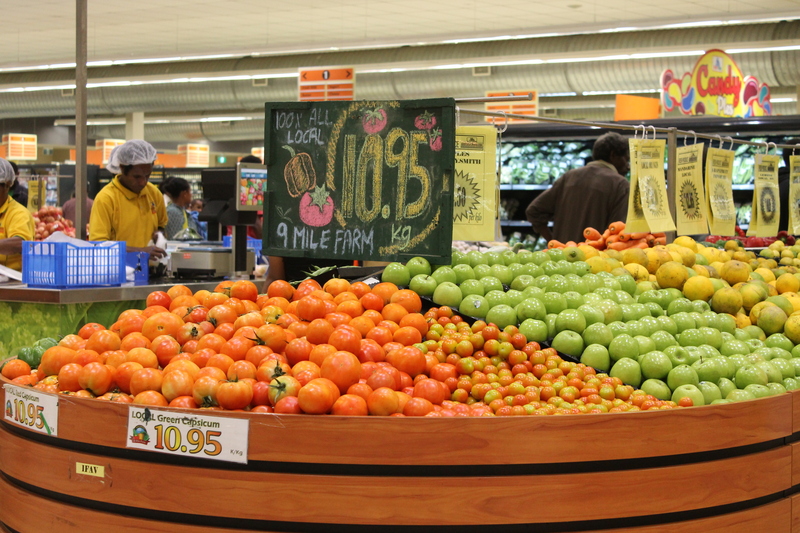 Innovative Agro Industries Ltd., a subsidiary of LR Group, owns 51% of the project, while the rest is evenly divided between the local Halfway House Church and Western Highlands (Province) Development Corporation. The staff includes local residents, international on-site experts, and fifteen young members, who are part of Halfway House Church rehabilitation program. These participants are offered basic education and life-skills training, in addition to the professional development course, needed to reintegrate into the work force. Widespread employment, decreased vegetable importation, and ongoing impact throughout various sectors in the region. In 2014, 9 Mile Farm produced 600 tons of cucumbers, tomatoes, peppers, lettuce, and more. 15% of the harvest was for home consumption, provided for the workers and their families, and the rest went directly to local markets, bringing in a total of $3,5000 gross revenue. The entire enterprise employs nearly 150 members of the local community in full-time jobs. These employees include 56 women as well as 15 participants from the Halfway House Church program, who receive basic education and life-skills training in addition to on-going management and professional training courses. The project is located near the 9 Mile Settlement, a large informal settlement notorious as a base for youth gangs. The 9 Mile Farm is the largest formal employer for local youth and, for many, the only opportunity for formal employment. Two hundred families already benefit directly from 9 Mile Farm and 60 local enterprises have been involved. Since its opening, the average salary in the region has gone up by 20% and the project management expects even more dramatic growth by 2017.